I've been trying to write this post all week and it just hasn't been what I wanted it to be. Words kept failing me. I'm definitely not a poet or a writer of profound words. I'm just a person who feels strongly about things, event and experiences and tries to share the best I can. Today I received a treasure in the mail. It was this book. I've talk many times about the great and lasting friendships I've made because of Pearl Jam. Friends who live all over the world. Friends who mean the world to me, even though I don't get to see them very often, some of whom I have never met in "real" life. Chris and I got to meet, in real life, one of those friends we've known online for 9 years at the PJ 20 celebration in WI! The guy between Chris and I is Luis, he's from Portugal! It was so great to finally meet him after all these years of sharing the PJ love! The guy on the end next to me is Matt from Germany, Chris and I met him in real life a few years ago in Boston. We have met up with Matt at a few shows since and once he came to Seattle, after seeing PJ in California, and had dinner with me and Handy Man. I'm grateful to Pearl Jam for 20 years of music and for the amazing friendships I've formed because of their music. Here's to 20 more years! Things are going very good in the life of imom! I really truly LOVE my new job. I got my first paycheck since January! Somehow our house appraised 30K over what it appraised at 9 months ago even though home prices in Seattle continue to drop at an alarming rate. This appraiser gave us credit for things the other appraiser didn't, like a view(!) and he saw the condition of the house as being above average, where the other guy said it was just average. We have continued to work on the house and maybe that showed through this time around, who knows! This means we will refinance with ease! Back in January I posted my horoscope for 2010 and it looked very promising even though things were not going well for me. I'm re-posting it here with the things that have happened in bold. Did you just hear that gigantic cry of "hooray"? That was the sound of millions of Sagittarian lives getting better in 2010. Pluto has moved out of your sign, and Saturn has left Virgo (which wasn't doing you any favors either, as you may have noticed from the unusual pressures in your home life, and the difficulties you've had getting what you need to feel secure). Of course, as much as you'd like all of life to match that happy, carefree streak you have, you know it doesn't always work out that way. The big pressures have just moved on and changed form. Fortunately, your reputation for being able to see the bright side of things will generally be justified by these new issues. There will be new challenges to your money supply and how you handle your money, and yet you'll also have new opportunities to correct problems in your material life, and maybe even prosper more than you ever have before. Work is also going to present new roles and new opportunities, and will also give you chances to shine. And there will also be new demands from your friends and loved ones. But those same issues will help you sort out who is of real value to you, and what your real value is to them too. The hard work that you've sometimes had to put in during the last two years is going to start paying off for you. And for some of you, the rewards will be enormous. Can I hear a "hooray" out there? By July we should be finished with the refi! This is my 400th post!! I wish I had something more profound to share today, but I'm empty! Finished Dexter season 2, can't wait to start season 3! Another thing I can't wait for is having dinner with my friends tomorrow night, it's been a few months since we've seen each other! Something happened on Tuesday night that hasn't happened in years... Dancing Daughter came to our room saying she wasn't feeling well. She actually got in bed with us for a while. After an hour of none of us being able to sleep I encouraged her to go back to her bed. She's a lot bigger at 15 than she was at 10! Both my kids stayed home sick yesterday, Gah! Both are going back to school today, only to have the next few days off for mid-winter break. While the east has been buried in snow, we in the west have been having the warmest January on record! Not good considering Vancouver BC is hosting the winter Olympics! Need snow for that little event. I've been reading my current book since the beginning of January. I don't remember ever taking so long to make it through a novel. I'm feeling much dread that my phone is staying very silent. I really want to go on an interview! I really want to get a job. The day the rental house is going on the market is getting very close. The dread over paying two mortgages while I have no job is making me feel sick. Ohhh... I got all my tax info compiled!!! That I'm seeing my friends tomorrow!! There, that's it, that's all I got! Just a quick post to share an overview of what's been going on in my unemployed world. Since being laid off one week ago I've submitted 7 applications for employment and had my first job interview yesterday. It went really well, so well I've been called back for a second interview. I'll do a longer post about it after the second interview. It's been a learning experience and quite frankly and total confidence boost. Even if I don't get this job, I know I will find one soon. Isn't is strange that since being laid off I feel like I have less time than more time? All of the free time that might have been used reading or taking photos or learning photoshop has been spent searching for and applying to jobs online. It's been quite the adventure and honestly a little exciting. The job I lost was a job I loved. It was a part time, laid back, flexible, working with great people type of job. It was just what I needed at a time I was getting back in the work force. I'm so grateful for that job and the people who hired me. I wasn't quite ready to move on to full time employment, but I'm embracing the opportunity to find something more challenging. So far I've submitted five applications for administrative support positions and plan to submit three more today. The first job I applied for was with a supplier to the previous company I worked for. It was one of those things where I got online hours after my layoff and saw a very familiar name and just started laughing. That company called yesterday and I have an interview with them on Thursday. It pays less per hour than my previous job, but I'm interested in hearing about the position before I rule it out. Asthmagirl who was able to get my hair color in interview shape on short notice. Love you! All my friends who have been so supportive, encouraging and helpful. Handy Man for continuing to say "I found a job you need to apply for". I completely cleaned my house yesterday, including the upstairs bathroom. That felt really good. My kids who are thinking ahead to ways they might get home from school if I find full time employment. Remember to count your blessings today! On December 5, my blogging journey will be one year long and I've enjoyed every minute of it! 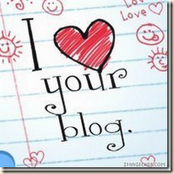 I've made some great virtual friends whose blogs I enjoy reading everyday. To say I've learned much from all of you, would really be an understatement. My Thanksgiving dinner was relaxed and easy because of tips I learned reading your blogs! I've read some of the best books on recommendations from you. Most of all when I was first starting out and unsure of myself you all told me that it was my blog and I could do it however I wanted to! In celebration of having you all stick with me for a whole year I'm having a contest! I'm not sure what I'm giving away yet, it might be a gift card (if I'm lazy), it might be a handmade gift (if I'm not lazy), it might be something from the Pike Place Market, it might be something totally geared toward whoever wins! In order to enter all you have to do is leave a comment with your name, where you are from and how you found me. Even if you comment everyday, rarely or have never commented I'd love to hear from you. This contest is open now through Monday December 7th. I'll randomly draw one name from everyone who enters and announce the winner on Tuesday December 8. Look for some changes in my blog over the next few days! I hope to have a new look on Monday! Go here to read my first blog post! The new convection oven we put in this summer. It's making my holiday baking a breeze! Remembering to take the turkey out of the freezer before Wednesday. The river hasn't flooded yet. We will have a nice small gathering for dinner on Thanksgiving. My pets, when they are aren't puking on the rug! Last but not least, I'm so grateful to all of you, my readers! I love your comments, I love visiting your blogs and websites. There is so much you have taught me over the last year, Thank You!